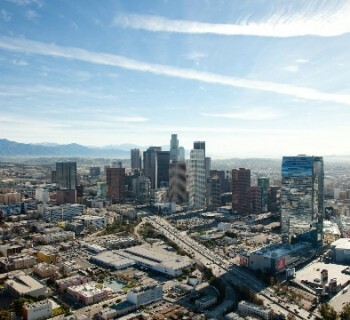 Los Angeles, which was referred to as the CityAngels, is a very popular tourist destination in the United States. This city is considered the largest settlement in the state of California. He impresses with its scale and scope. Prices in Los Angeles high, but no higher than in other major cities of the world. A clear plan is uncharacteristic for Los Angeles,since it was built spontaneously. It traced the low-rise, as many Americans prefer to purchase homes. The city is composed of many areas, which are located near the Pacific Ocean, in the foothills and plains. 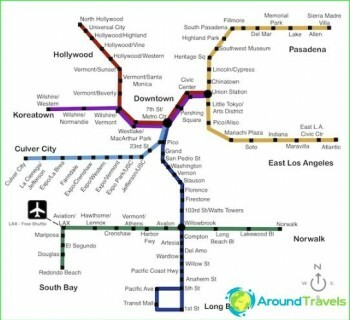 By Los Angeles are also nearby towns: Culver City and Beverly Hills. Tourists are offered accommodation to suit all tastes. Local hotels are varied and numerous. Within the city there are luxury hotels with incredibly high prices, middle class hotels and budget hotels in the economy class. Recent ideal for guests who do not expect to spend too much money on accommodation. Among the hotels of 5 * allocated Fairmont Miramar Hotel& Bungalows, Ritz-Carlton Marina Del Rey Four Seasons Hotel Los Angeles at Beverly Hills and others. Good conditions for tourist hotels provide 4 * -. It is Avalon Beverly Hills, InterContinental Los Angeles at Beverly Hills, etc. The number in the middle-class hotel, you can rent for $ 250-400 per day. Comfort at a minimal cost offer mini-hotels. They have cheaper rooms at $ 40-50, which are equipped with the necessary amenities, but the lack of luxury items. In the city you can find a restaurant with a kitchen anywhere in the world. Here you will find food for every taste. Prices for meals in restaurants are different. The most expensive cost meals that are served at the famous restaurant. 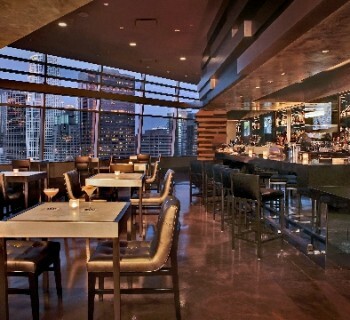 If you like Japanese food, go to Nobu- Robert De Niro's restaurant. There you will find an exciting menu, perfect service and pleasant atmosphere. Try dishes kosher cuisine in the restaurant Steven Spielberg Milky Way. The city has a lot of public catering establishments, where you can eat cheaply - for $ 20-25. In Los Angeles, operates fast-food chain Carls Jr. Try a burger in the establishment of this network can be $ 5. In Los Angeles, there is something to see. Age, the city is relatively small, however, the City of Angels has a lot of attractions, some of which appeared due to the development of show business. Excursions can be group and individual (in Russian). Sightseeing private tour by car takes 4 hours and costs $ 350-550. The most popular is a trip to Hollywood studio Universal. Tours for adults and children from 5 years costs from $ 130 per person (children under 5 years are not allowed).